Now that we have set the general plugin settings up, we can start adding some Portfolio items to our website. 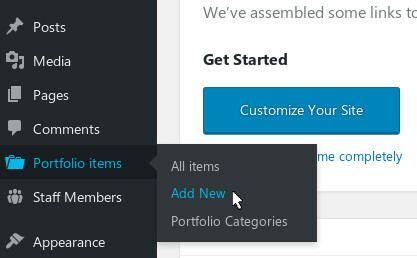 To add your first team member, go to Portfolio items » Add new in wp-admin. 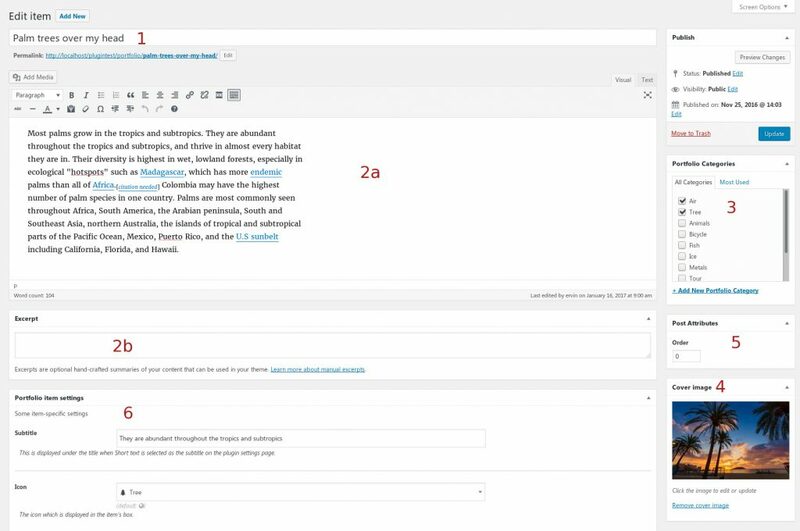 Then you’ll see a standard WordPress post editor screen. Portfolio Categories: you can categorize the Portfolio items with this taxonomy. Optionally you can display these categories on the large (2 / row) tiles. Cover image: here you can add a cover photo for the Portfolio item – just like featured images for blog posts. The Order number in the Attributes box will help arranging the items in the front end – if you chose Menu Order as the Order by setting on the plugin settings page. Link opens in new tab: if enabled, the tile link will be opened in a new browser tab, keeping the original tab open. Don’t forget to Publish / Update the page after editing!